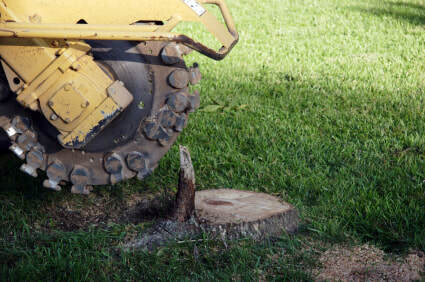 Stump Removal - clean up your property and remove potential tripping hazards from cut down trees. Stumps can be tripping hazards or even attract critters and unwanted insects that can harm your landscape plants and lawns around your home. Stump grinding eliminates stumps by grinding out the stump to just below ground level with a powerful metal blade. Grinds the stump below ground level. 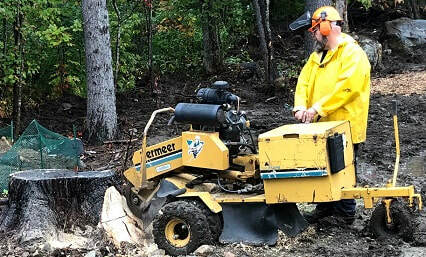 Robinson Services is a locally owned and operated business in Malden, MA offering many related stump grinding services including: Landscaping, Land Clearing, Excavating, Spring and Fall Cleanups, and more.